Additional Info: Unlike many other trio combinations of string, the Minerva Ensemble string trio is a unique musical trio of oboe, violin and cello. Together these instruments produce a diverse and beautiful sound which brings a unique personality to our repertoire. 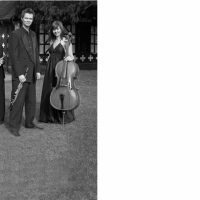 Minerva Ensemble is a Cheshire based string trio, although they cover the whole of the North West, including Manchester, Lancashire, Merseyside and Chester. As experienced wedding musicians, we can help you plan the music for your perfect day. Whether it is music for the church or a civil ceremony, drinks reception or background music for your wedding breakfast, we can play a variety of styles from opera arias to Broadway shows, classical favourites to popular songs. The Minerva Ensemble is a trio of graduates from the Royal Northern College of Music in Manchester, all of whom are now professional musicians playing with the orchestras in the North of England. These include the Halle Orchestra, Liverpool Philharmonic, Opera North, Manchester Camerata and the BBC Philharmonic. Minerva Ensemble have been performing at weddings, functions and public concerts since 1996. We have had the opportunity to play at recitals, festivals and competitions as well as tour across Europe and teach through the “Live Music Now” organisation. We have also recorded a number of performances and performed concerts all over the UK, Europe and the rest of the world both as a group and with many other orchestras. With a wealth of experience playing both together and as individual musicians, we have developed a unique and beautiful sound. We have based our packages on three parts of your wedding day, so you have a choice as to which best suits you. These include the ceremony, drinks reception and wedding breakfast. The time each part takes does not affect the price, that way if your day is running slightly late you don't need to worry about the extra cost.